This paper aims to take a fresh look at the emergence of a new linguistic culture at the end of the seventeenth century in England, when the Restoration, the birth of the Royal Society and the spread of the experimental scientific method posed the question of the standardization of English more strongly than ever before, in a quest for a clear, less ambiguous language capable of scientific expression. While members of the Royal Society could read Latin – which would remain the undisputed language of science for quite some time to come – nonetheless a rising number of important works that circulated in English translation testifies to a shift in sensibilities and a growing sentiment that cultivated Englishmen deserved to read the works of the new science in their own language. Within this broader context, which the paper aims to briefly reconstruct and reconsider, special attention will be paid to the entry points of Galilean and post-Galilean thought into England, in particular the English translation of the experiments of the Accademia del Cimento by Richard Waller. A consideration of linguistic features, translation strategies and culture-specific issues will aim to explore some of the ways in which seventeenth-century English continued to look to the Continent for its enrichment and refinement, as was customary in previous ages and in particular for literary texts, while at the same time claiming for itself the practice of specialized communication in the vernacular, which would pave the way for the rise of English as the language of science. ©inTRAlinea & Iolanda Plescia (2019). "Early Modern Science in Translation: Texts in Transit Between Italy and England"
In a very recent volume on the translation of early modern science (Fransen, Hodson and Enerkel, eds, 2017) – one of the first of its kind, in its being entirely dedicated to the less often studied field of scientific writing – one of the editors, Sietske Fransen, posits that ‘the history of early modern science is strongly connected to translation’, and that ‘translation was at the core of scientific exchange in this period’. Even well outside the confines of the early modern age, the activity of translators stretching back as far as the Middle Ages determined the course of scientific progress in the Western world, as well as the movement of texts from Greek, Arabic, and Latin antiquity into modernity, since ‘translators… had their own programme or rationale for choosing texts for translation… it became the translators’ decisions that determined the core texts of Western science’ (Fransen, “Introduction”, in Fransen, Hodson and Enerkel 2017: 3). However, in the early modern age translation took on a new role, as it began to be seen as a means for the development, and in many cases improvement, of languages which were now considered as ones which could in time carry their own weight and authority, even as Latin continued to be widely used in scientific and cultural circles. If it is impossible to fully account for the rise of early modern science – or rather, the ‘new science’, in its empirical, experimental form – without taking stock of the contribution of translation, by the same token this position can be reversed: early modern practices of translation, and the linguistic developments that went along with them, cannot be wholly understood if technical and scientific texts are ignored. Yet up until the past decade contributions on scientific translation have been few and far between. It is rare – though increasingly less so – to find scientific translation included in books and studies devoted to the circulation of early modern texts in England, for example. Only a handful of essays take this kind of text into consideration within the broader drive towards translation into the English vernacular which started in the Renaissance (Pantin 2007), and the number of studies that have aimed to shed light on individual figures of translators or their texts in their own right and not merely as secondary chapters in the history of science is small, though on the rise (Gotti 2000, 2003, 2008, Boschiero 2010, Henderson 2013, Fransen, Hodson and Enerkel 2017). Some useful and important studies have looked at scientific writing, mostly in its relationship to Renaissance literature (Spiller 2004, Cummins and Burchell 2007, Marchitello and Tribble 2017). While a broad picture of early modern European scientific translation is well accounted for in the variety of essays to be found in the recent collection mentioned above (Fransen, Hodson and Enerkel 2017), there is much work still to be done with regard to investigating specific networks and textual transits, and it is on the Anglo-Italian connection in particular that this article aims to shed some light. The article itself is intended as a follow up to two previous studies devoted to individual translators working from the Italian language into English during the early years of the Royal Society (Plescia 2011, 2017a). In those studies, the first published translation of Galileo Galilei into English (actually in any vernacular language), translated by Thomas Salusbury in the 1660s, was described with a specific focus on the motivations and aims of the translator, as well as what emerged as his marked metalinguistic awareness; less space in the first of the two studies (2011) was devoted to a second translator, Richard Waller, who worked on an English-language rendition of the experiments (1684) carried out by the post-Galileian Accademia Del Cimento, exhibiting a similar desire to Salusbury to enrich the target culture with concepts and a specialized vocabulary that the English language was finally seen as capable of containing and producing. In the case of both translators, paratextual materials were taken into special account (frontispiece, dedications, letters to the reader, etc.) as sources of insight into their linguistic attitudes. In the present article, after a survey of the wider picture of scientific writing in English, as well as of Anglo-Italian linguistic and cultural relations in the context of seventeenth-century scientific enquiry, Richard Waller’s work will be more closely investigated as a case study on the conditions which fostered the activity of scientific translators. Waller’s volume is first described with regard to its material composition and its position within the cultural climate of the early Royal Society, and some speculations as to the reasons for Waller’s undertaking the task are given. Special attention is paid to the paratext within a historically and culturally informed approach, which has been gaining ground in translation studies and has begun to place emphasis on the stance and personal stories of individual translators as important clues to the dynamics of larger textual networks. Finally, selected examples of Waller’s renditions into English, drawn from the final section of the book, are discussed following a descriptive approach which aims to consider both some stylistic choices at a micro-textual level and Waller’s translational position as a whole. The beginnings of ‘scientific English’ are often seen as coinciding with the rise of the experimental method and, in particular, of the Royal Society, founded in 1660; but it would be naïve to think that specialized knowledge had not been conveyed in English in the centuries prior to that momentous institution. Just to limit ourselves to the Renaissance, it will be sufficient to mention here the work of mathematicians Leonard and Thomas Digges (Leonard had published in English in the 1550’s, while his son Thomas espoused the Copernican theories and devoted himself to popularizing his father’s work as well as producing his own); Sir Henry Billingsley’s 1570 translation of Euclid into English, with a celebrated preface by John Dee; Thomas Harriot, the mathematician and astronomer who wrote his account of the new colony of Virginia in English (1558); Robert Recorde, who wrote arithmetic, geometry, and astronomy textbooks to be read in English by the educated layman; and the many medical works which enjoyed great success in Shakespeare’s age, such as Thomas Moulton and Thomas Elyot’s books written for the general public. Defining exactly what qualified as ‘scientific’ in the age just briefly described is a near impossible task – since the age itself showed only very subtle signs of the cultural divide that would separate science from the ‘humanities’ later on. It is true that some important disciplinary fault-lines were beginning to emerge: while still informed by Galenic precepts and humour theory, medicine was increasingly seen as something more than a practical craft, thanks also to the development of a more pronounced professional awareness among the surgeons within the Barber and surgeon guild association; the same impulse was fuelling the study of human anatomy; while ‘natural philosophers’ – the label scientists would have chosen for themselves at the time – were developing more refined toolkits in astronomy (finally somewhat separate from astrology), geology, geography, and exploring the practical applications of mathematics and geometry to such useful occupations as hydraulics, architecture, and navigation (Plescia 2017b). Many of these fields of enquiry entailed importing knowledge from the Continent and in particular from Italy, and thus also creating specialized vocabularies. As the period wore on, the rise of the experimental method encouraged an organized effort on the part of natural philosophers to define their objects of study and eventually communicate the results of their work. At the same time, many of the writers who took it upon themselves to popularize the progress of early modern science continued to write parallel works in Latin, which would continue to maintain its position as lingua franca in Europe for quite some time. The period leading up to the constitution of the Society was indeed marked by the sort of linguistic anxiety that would later lead to the full-blown prescriptivism of the eighteenth century, in which an aspiration to regularity, refinement, and standardization emerged (Baugh and Cable 2002: 238-251). It is true that from a structural point of view, by the early modern period the language had completed most of the changes which had shaped it into a form that is familiar to us (such as the Great vowel shift, the levelling of inflections and the consequent analytic order structure, the relative standardization of the pronoun and verb system). However, a great deal of variation in spelling, pronunciation and vocabulary remained, and it was precisely such variation, which was not felt to be excessively problematic in the Renaissance (Hope 2010: 72-97), that began to be looked upon with suspicion at the dawn of the age of experimental science in England. Alongside the problem of standardization, what remained to be built up was a specialized vocabulary: while the vernacular was increasingly competing with Latin as a language capable of expressing scientific concepts, the general feeling was still that English was a language in dire need of development if it was to eliminate ambiguity and reach clarity and precision – drawing closer to the ideal of a univocal correspondence between words and things. Such an aspiration was famously echoed by Thomas Sprat in the introduction to his History of the Royal Society (1667), in which he interestingly focused briefly on language before turning to his task, calling upon men of learning to govern and tame the mass of words (‘fantastical terms’) that had been introduced in the previous ages into the English language (Sprat 1667/1722: 42). And it is indeed with the age of the Royal Society that most manuals and studies devoted to the rise of scientific writing in English begin. As David Banks has it, ‘If one were to select a moment as being the time when scientific English first came into being, then the late seventeenth century would be the primary candidate’ (Banks 2008: 23). While basing his own study of scientific discourse on the need to look at certain codified forms which characterize modern scientific communication in English – such as the use of passive forms and the avoidance of first personal singular pronouns – in an eminently diachronic perspective, Charles Bazerman also chooses to begin with the publication of the Philosophical Transactions of the Royal Society (Bazerman 1998). Similary, M.A.K. Halliday focuses on the seventeenth century after mentioning Chaucer’s Treatise on the Astrolabe (c. 1390), indicating Newton’s Treatise on Opticks (written in 1675-87 and published in 1704) as the most appropriate work to ‘register[…] the birth of scientific English’ (Halliday 1999/2004: 145). Maurizio Gotti, who analyzes the scope of specialized discourse in his comprehensive treatment of its development in English, also begins the diachronic part of his account with the seventeenth century, although he considers the decades preceding the establishment of the Royal Society as relevant, thanks to the first examples of Dictionaries of ‘Hard words’ which appeared from the middle of the 1500’s and especially at the turn of the century, and which contributed to the definition of specialized lexis (Gotti 2003: 153-190). To assess the extent to which the activity of translation gave a specific, quantifiable contribution to the development of scientific and specialized English is no easy feat and would require a large database of fully searchable electronic corpora of translated and original texts to be able to conduct a large-scale study. This is not the aim of the present study, but it is considered to be a necessary second step in a larger research project. In this phase, focusing on individual case studies helps to outline a web of textual transits that, rather than giving certainty about how any new, specialized word entered the English vocabulary, can shed light on the linguistic and cultural relationships between European countries. Though no longer recent and focused on the previous Middle English phase, it is interesting to note how Fabbro’s survey of medical English concluded that ‘the growing use of English in medical texts from 1350 onwards paralleled the rise of English writing in general’ (Fabbro 1998: 125). It is important to keep this general trend in mind for our period as well, since English underwent a steady process of conscious ‘improvement’ during the early and late modern periods, so that the drive to translate may also mirror the general conviction that English was becoming capable of a variety of different registers. Interestingly, however, in a later phase, during the rigorous eighteenth century, translators could actually be blamed for their ‘licence’ rather than praised for enriching the language, as in Johnson’s well-known position in his 1755 Preface to the Dictionary (‘If an academy should be established for the cultivation of our stile […], let them, instead of compiling grammars and dictionaries, endeavour, with all their influence, to stop the licence of translatours’). What we do know about the period under consideration is that, far from being seen as a merely technical enterprise, the activity of translation was viewed as having a specific role to play in the communication of the new science. The Royal society in particular showed a marked interest for language and the problem of scientific interaction through the written medium (Moessner 2009). The aforementioned Thomas Sprat, together with John Dryden and John Evelyn, briefly joined a project to establish a committee for the improvement of the English language under the auspices of the Society (Blake 1996: 246). Though the committee never took off and did not produce any formal documents, a number of factors point to the Royal Society as having put in place what may be likened to a ‘language policy’, as Moessner points out. The Society was concerned with the dissemination of results and stipulated that any member who had published a work should provide a copy so that a library could be set up. All texts submitted for publication needed to obtain the approval of the president, and a number of members, from Sprat himself to Robert Boyle, outlined in their writings the main tenets to be observed in scientific writing, that is, plainness, clarity, perspicuity, lack of all forms of embellishment or adornment (Moessner 2009: 65-66). Moessner’s contention, backed up by a quantitative, multidimensional study of a corpus of six scientific texts written between 1616 and 1669, partially confirms his initial hypothesis that ‘under the influence of the Royal Society a [new] characteristic discourse type developed with a largely homogeneous linguistic form’ (66) (though homogeneity does not seem to be supported across the board on all dimensional counts). It is to be supposed, then, that at the very least members working also as translators within the Royal Society were aware of such linguistic policies and would strive to create texts that would not only convey the meaning of the original but would also make a contribution to the collective effort towards crafting an appropriate style for the communication of science. As Felicity Henderson has shown in her survey of early translation practices at the birth of the Royal Society (Henderson 2013), notwithstanding their continued use of Latin, the early Fellows often required translations of the letters, books and papers they received in European vernaculars. The archives contain some evidence of Italian texts being transcribed in their original form to be kept – approximately 10 Italian texts appear in the Register Books, 21 in the Classified papers, 40 in the Early letters series (Henderson 2013: 107). This is a small number in terms of percentage with respect to the whole, and Henderson concludes that it is unsurprising that the main second language used for conducting the business of the Society was Latin, and that French was ‘the most frequent European vernacular’ (107). It is quite possible then that in most cases, translation of Italian texts was required for circulation. This phenomenon would seem to fall within a larger trend, since, with modern languages building their own specialized terminology, scientific translation into Latin was starting to decline, however slowly, by the beginning of the seventeenth century (Kelly 1979: 76), and the second half of the sixteenth century witnessed an intensification in translation from one European vernacular to another (Acker 2008: 416-18, Pantin 2007: 166). Translation from a romance language with a freer sentence structure such as Italian might pose a number of problems, but at the same time Italy remained an important reference point, a country with an authoritative scientific tradition, which had to be taken into due consideration, much in the same way as it had been a source of literary (as well as cultural and political) inspiration in the preceding centuries. English proponents of the ‘new science’ established contact with Italian scientific circles, both in private correspondence and by circulating Italian texts, and it is not surprising that Galilean thought, with its emphasis on observation and experimentation, should encounter particular interest among the early Fellows of the Royal Society, followed by the work of the Florentine Accademia del Cimento, the first European academy to put the Galilean experimental method into practice, and of the University of Bologna (Boas Hall 1982: 63-64). Within this context, even texts that seem not to have enjoyed much circulation, for a number of material reasons, acquire importance as cultural documents that have a story to tell. Such is the case, for example, of the monumental efforts of Thomas Salusbury, who brought out the first published English translation of Galileo Galilei’s work, within two impressive volumes of Mathematical Collections and Translations (1661-1665). Among the Italian texts translated are Galileo’s System of the World (1632), his Letter to the Grand-Duchess Christina of Tuscany (c. 1615), his Mathematical Discourses (1638) as well as the Discourse of the Things that Move in or Upon the Water (1612); but also a letter by Paolo Antonio Foscarini, and work by Benedetto Castelli and Niccolò Tartaglia. Few copies of Salusbury’s massive work still survive and it is uncertain how many may actually have circulated in his lifetime; while Salusbury was not a Fellow of the Royal Society and was rather an obscure figure, working ‘on the margins of the […] Society’ (Wilding 2008: 241), the tomes were published by subscription – or so the paratextual materials state – so that it is reasonable to suppose that Salusbury expected the enterprise to be profitable. A market for works translated into the vernacular was beginning to emerge, even as scientists could still turn to Latin as a lingua franca if they wished (the Dialogo, for example, had been translated into Latin by Matthias Bernegger in 1636, decades before the English version). While the paratext of Salusbury’s Collections gives some indication that the translator hoped to gain fame but also to earn a living through his efforts, the work of Richard Waller, which will be more fully explored in this section, is a case in point that illustrates a different kind of project, one born explicitly under the auspices of the Royal Society, and carried out by a learned gentleman for whom translation was not a principal profession. Richard Waller, whose date of birth is unknown, was a classically educated member of the Society from 1681, and became its secretary in 1687, holding the office under the presidencies of Samuel Pepys (1687-1709) and Isaac Newton (1710-1714). As pointed out by Ezell (1984), Waller had artistic interests and became an important illustrator and editor, lending his humanistically-trained talents to the pursuits of the new experimental science. Indeed, gentlemen interested in science in those years would not have seen their endeavours as in any way separate from the quest for knowledge and truth tout court: science was not designated by this name in particular but rather went by the definition of natural philosophy, and its practitioners were encouraged to explore the natural world and collect data by means of direct observation, rejecting past paradigms in favour of experimentation. The Royal Society entertained important relationships and correspondence with societies and academies outside of England (Boas Hall 1975), and many of these papers were translated by members of the Society for the perusal of other members (Henderson 2013). Waller devoted his varied range of abilities to precisely this important communicative activity. He served as editor to the Philosophical Transactions (1691-63), and fostered dialogue with foreign scientists by publishing their articles and letters. He held a crucial position in the Society and was one of its principal translators (Ezell 1984: 220). He also corresponded with scientists (nurturing a close friendship with Robert Hooke, whose biography he published in 1709), and he believed in the use of illustrations and art in general as an effective component of the dissemination of the new science (Ezell 1984: 221). As in the case of Galileo’s work, the reports of the Accademia del Cimento, which was a post-Galilean society founded in Florence in the middle of the seventeenth century, were an example of experimental work that evidently could attract English speaking readers. Like Salusbury, who had translated texts that had previously circulated in Latin, thus pointing to a growing readership which demanded English versions, Waller set out to familiarize a text that had actually circulated years before his own translation, arriving in its original version in England in 1668. The book had been presented before a committee which had ruled that it contained no noteworthy experiments (Boschiero 2010), which prompts the question of why Waller should re-evaluate the texts fifteen years later and propose his own translation in 1684. Boschiero hypothesises that the Society later grew more interested in the significance of the experiments to the field of pneumatics (Boschiero 2010: 67), but from a historical-linguistic point of view it seems more natural to take this new effort as evidence of the growing trend in scientific translation towards the end of the early modern period, as well as of the fact that an emergent audience of educated laymen was creating a market for English versions of scientific texts. The sheer amount of labour involved in producing so many pages of translated text (about 160 in the English print edition) is difficult to explain otherwise. Taking a closer look at Waller’s English version, the paratextual materials offer some important clues to the translator’s stance and his reasons for offering this work to the public. While I refer the reader to my earlier article for a fuller account of Waller’s dedication and his translation of the Preface (Plescia 2011), it may be briefly mentioned here that the dedication itself points to Sir John Hoskyns, President of the Royal Society at the time, as the person who had inspired the translator to take up the book that had remained in the Society library for such a long time without finding a ‘more skilful Pen’ than his own – the requisite proclamation of humility on the part of the translator, typical of the age, is here fulfilled, though very briefly and not as emphatically as in other cases (such as that of Salusbury himself). Waller explicitly mentions the market as a factor which, together with the President’s encouragement, helped him decide to devote his efforts to the text: it is ‘no small Motive to this Undertaking… that it might be obtained with more Ease, and at a cheaper Rate’ (Waller 1684: dedication). Waller includes no Preface or Letter to the reader of his own, unlike Salusbury before him – which may indicate that he saw his role as being merely that of a facilitator, or that he needed no particular justifications to take up the task, since he was working at the behest of the Society itself. He instead dives into the translation of the Italian Preface (‘Proemio a’ Lettori’). This excerpt provides a significant example of his style, which shows a tendency to foreground key terms such as truth, mind, trial, and experience, and to make recourse to amplification and emphasis so as to play up the novelty of the empirical method (Plescia 2011: 572). While the translator attempts to respect the length of the original sentences and searches for close renditions whenever possible, his stance emerges as confident in this Preface, as he resorts to reordering and some lexical additions, as well as a change of tense in some passages, mainly for rhetorical effect (Plescia 2011: 573). He also introduces some new elements, such as inclusive ‘we’ forms and doubles of important terms (as was customary in early modern translation practices), and generally shows intercultural awareness by adapting words to the English cultural climate and avoiding false cognates: ‘anima’, for example, becomes ‘Mind’, not soul; and ‘science’ is translated as ‘conception’ when given a negative connotation (as in ‘falsa scienza’/‘false Conception’). As to the composition of the volume, in Waller’s version a table of contents is included at the beginning – after his own dedication to Hoskyns and his translation of the book’s original dedication to Ferdinand II, Grand Duke of Tuscany, and of the Preface – unlike the Italian version, which follows the custom of inserting the table at the end of the work. Waller’s edition is the first translation of the experiments in any foreign tongue, and his pride in the gift he is offering the Society is testified not only by his personal dedication but also by his decision to insert an original drawing as a frontispiece to the book [fig. 1]. The drawing shows Aristotle in conversation with ‘Diva Natura’, who is pointing at the book of Essays – and thus, metonymically, at the experimental method as a whole – as the true source of knowledge in the modern world: in the age of the dawning empirical science, interpretation of natural phenomena can no longer rest on ancient wisdom and received paradigms. The contents of the book themselves are organized into thirteen chapters, of which the last, entitled ‘Miscellaneous Experiments’, has been the object of closer scrutiny in order to draw some preliminary examples of Waller’s stylistic choices, since it represents a compact sample that is well suited to close parallel reading. An inspection of this segment reveals interesting details that would seem to corroborate the observations made on Waller’s stance as a translator in his rendition of the Preface. All of the experiments in the miscellaneous section follow a stylistic pattern in which the object of the experiment is presented, the procedure is briefly described, and some tentative conclusions are drawn, an early version of what would later develop into the more articulated scientific essay form. It may be possible that the Italian impersonal form introduced by the particle ‘si’ simply stands for the first-person plural, a typical phenomenon of dialects of the Tuscan area. However, in English a passive form would have been an option (‘no difference was observed…’), and it would certainly be the most natural option in scientific English today. Also, the ‘si’ impersonal form is not used unfailingly, but rather as an alternative to ‘noi’ (‘we’) in the Italian version; Waller decidedly leans in favor of the inclusive ‘we’ form. While Waller shows rhetorical skill and is by no means a naïve, word for word translator, a close comparison of the texts shows that he seems to take great care with vocabulary, preserving the Latinate root of the technical terms as carefully and as often as possible. A good example of this is his rendition of an experiment on odours, in which several substances giving off a strong smell were put in a glass vial and sealed off to see whether the smell might still be detectable (p. 263 in the Italian book, p. 155 in the English version). Almost all of the Latinate terms dealing with the sense of smell, the supposed ‘movement’ of the odour, and the preparation of the vial are closely reproduced, either by calque-translations or direct borrowing: Quintessence of Sulphur (quintessenza di zolfo), Extract of Horses Urine (estratto d’orina di cavallo), transpire (traspirano), halitus (alito), Spirit (spirit), Sealed hermetically (ermeticamente… chiusa). The adherence of technical vocabulary to the Latin and Italian roots is an aspect of the text that deserves methodical analysis, in order to tackle the second research question which closes this brief essay, and opens up a new issue to be explored in further studies. The previous essays mentioned, as well as the present one, are part of a larger research project whose first phase has concentrated on contextualizing the translators, their texts, and the linguistic effort and philosophy that brought them into existence. 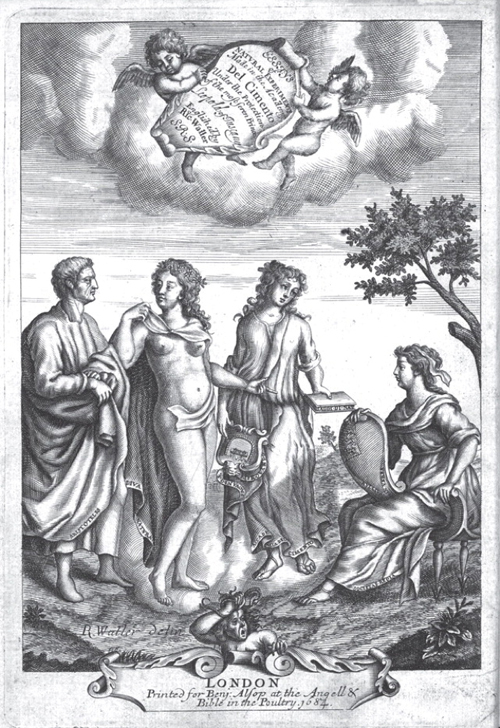 In particular, this essay has aimed to provide an outline of the historical and cultural conditions surrounding the production of translations of Galilean and post-Galiean texts, shedding light on a crucial trajectory of early modern scientific knowledge which connects Italy to England in the years of the early Royal Society. The observations here put forth on the experiments of the Accademia del Cimento produced by Richard Waller for the Royal Society, which have focused on the paratext and on the last section of the book, have aimed to define Waller’s style and stance as a translator: while a general tendency towards literal renditions is found, especially in the most technical passages, as is to be expected with scientific texts, the translator’s stance emerges as confident and target oriented. Waller is not afraid to modify and adapt the text when necessary, and shows a clear awareness of the subtle cultural differences between key terms that also have a philosophical import. The question of the extent to which this specific translation – as with Salusbury’s translation of Galileo before it – enriched the technical vocabulary of English in the period must however be more fully researched. The second phase of this research project which is now underway entails compiling a parallel corpus, starting in particular with the Italian texts, since the pages of the original edition have been scanned and made available online, but have not been transcribed into a fully searchable digital text. A searchable parallel corpus will enable the collection of quantitative data as well as a swifter and more systematic approach to verifying the translations of key scientific words and concepts. As we know, Latin or Latin-derived words were still considered to be the most effective to convey technical meaning, and their importation and suffixation was a common way of building specialized vocabulary. By working with digitized texts and checking them against other coeval documents – for example the papers published in the Philosophical Transactions – it will be possible to search keywords to check whether their translation was methodically done in the same way throughout the bulk of the texts, or whether there was still some degree of uncertainty about the adoption of certain terms; whether English specialized terms were to be found in other scientific texts of the period or are perhaps new introductions into the language; and whether specific terms caught on or have since been abandoned. It also seems necessary to bear in mind for this period as well that, as with Fabbro’s hypothesis with regard to medical English (1998), the growing use of the English language for scientific communication may be seen as a byproduct of the rise in the trend of writing in English tout court: in this respect the declared position of the translator, expressed in the paratextual dedication, is to take a stand in favor of providing English translations for a market which comprises a larger reading audience, and at cheaper prices. Beginning to investigate a type of early modern translation that has enjoyed far less critical consideration than the literary, looking at its contexts and modes of production, has hopefully served to illuminate an important moment in the history of English and of translation into English – one in which a growing readership, and consequently a dedicated book market, was encouraging natural philosophers to read and do science in their native tongue, thus paving the way for the rise of English as a global scientific language – as well as trace one of the paths of a vital cultural transit between Italy and England in the seventeenth century, one built on a shared faith in the new science and the need to find effective ways of communicating it. Acker, Paul (2008) “Scientific and Medical Writing”, in The Oxford History of Literary Translation in English, ed. Roger Ellis, vol. 1, Oxford, Oxford University Press: 401-420. Banks, David (2008) The Development of Scientific Writing. Linguistic Features and Historical Context, London, Equinox. Baugh, Albert C. and Thomas Cable (2002) A History of the English Language, London, Routledge. Bazerman, Charles (1998) Shaping Written Knowledge: The Genre and Activity of the Experimental Article in Science, Madison, University of Wisconsin Press. Blake, N. F. (1996) A History of the English Language, Basingstoke, Palgrave. Boas Hall, Marie (1975) “The Royal Society’s Role in the Diffusion of Information in the Seventeenth Century”, Notes and Records of the Royal Society of London 29: 173-192. Boas Hall, Marie (1982) “The Royal Society and Italy 1667-1795”, Notes and Records of the Royal Society of London 37: 63-81. Boschiero, Luca (2010) “Translation, Experimentation and the Spring of the Air: Richard Waller’s Essays of Natural Experiments”, Notes and Records of the Royal Society of London 64: 67-83. Cummins, Juliet, David Burchell (eds.) (2007), Science, Literature and Rhetoric in Early Modern England, Ashgate, Farnham. Drake, Stillman (ed.) (1967), Mathematical Collections and Translations: in Two Tomes, London, 1661 and 1665 / by Thomas Salusbury; in facsimile with an analytical and bio-bibliographical introduction, London, Dawsons. Ezell, Margaret J.M. (1984), “Richard Waller, S.R.S: ‘In the Pursuit of Nature’”, Notes and Records of the Royal Society of London 38: 215-233. Fabbro, M. Teresa (1988) “The Contribution of Translations to the Development of Medical English”, in Giovanni Iamartino (ed.) English Diachronic Translation, Roma, Istituto Poligrafico e Zecca dello Stato: 123-130. Fransen, Sietske, “Introduction: Translators and Translations of Early Modern Science”, in Fransen, Sietske, Niall Hodson, Karl A.E. Enekel (eds.) (2017) Translating Early Modern Science, Leiden and Boston, Brill: 3-14. Gotti Maurizio (2000) “Lexical Choices in an Early Galilean Translation”, in Coleman J. – Kay C.J. (eds. ), Lexicology, Semantics and Lexicography: Selected papers from the Fourth G.L. Brook Symposium, Amsterdam – Philadelphia, John Benjamins: 87-101. Gotti, Maurizio (2003) Specialized Discourse. Linguistic Features and Changing Conventions, Bern, Peter Lang. Gotti Maurizio (2008) Investigating Specialized Discourse, Bern, Peter Lang. Halliday, Michael Alexander K. (1999/2004) “The Grammatical Construction of Scientific Knowledge: the Framing of the English Clause”, in The Collected Works of M.A.K. Halliday: The Language of Science, ed. Jonathan J. Webster, 10 vols, London, Continuum, 2004, vol. V: 102-134. Henderson, Felicity (2013) “Faithful Interpreters? Translation theory and practice at the early Royal Society”, Notes and Records of the Royal Society 67: 101-122. Hope, Jonathan (2010) Shakespeare and Language: Reason, Eloquence and Artifice in the English Renaissance, London, Methuen. Kelly, L.G. (1979) The True Interpreter: A History of Translation Theory and Practice in the West, Oxford, Blackwell. Lonati, Elisabetta (2017) Communicating Medicine: British Medical Discourse in Eighteenth-century Reference Works, Milano, Ledizioni. Marchitello, Howard, and Evelyn Tribble (2017) The Palgrave Handbook of Early Modern Literature and Science, London, Palgrave Macmillan. McConchie, R.W. (1997) Lexicography and Physicke: The Record of Sixteenth-Century English Medical Terminology, Oxford, Clarendon Press. Moessner, Lilo (2009) “The Influence of the Royal Society on 17th-century Scientific Writing”, ICAME Journal, 33: 65-87. Pantin, Isabelle (2007) “The Role of Translations in European Scientific Exchanges in the Sixteenth and Seventeenth Centuries”, in Cultural Translation in Early Modern Europe, Peter Burke and R. Po-chia Hsia, Cambridge, Cambridge University Press: 163-179. Plescia, Iolanda (2011) “‘Strangers to Our Nation: Anglo-Italian Relations and Linguistic Encounters in Two Early Modern Scientific Translations”, Textus 24: 559-578. Plescia, Iolanda (2017a), “‘Now Brought Before You in English Habit’: An Early Modern Translation of Galileo into English”, in Translating Early Modern Science, ed. Sietske Fransen, Niall Hodson and Karl A.E. Enerkel, Leiden-Boston, Brill. Plescia, Iolanda (2017b), “The Language of Science in Shakespeare’s Time”, in Shakespeare and the New Science in Early Modern Culture, ed. Maria Del Sapio, Pisa, Pacini. Spiller, Elizabeth (2004) Science, Reading, and Renaissance Literature. The Art of Making Knowledge, Cambridge, Cambridge University Press. Sprat, Thomas (1667/1772), The History of the Royal Society of London, For the Improving of Natural Knowledge, Boston, Elibron (facsimile edition, 2005). Taavitsainen, Irma and Päivi Pahta (2004) Medical and Scientific English in Late Medieval English, Cambridge, Cambridge University Press. Waller, Richard (1684) Essays of Natural Experiments, London, Benjamin Alsop. Wilding N. (2008) “The return of Thomas Salusbury’s Life of Galileo (1664)”, British Journal for the History of Science 41, 2 : 241-265. For a more detailed account of ‘scientific’ language in the English Renaissance, see Plescia (2017b). With regard to the outline of scientific discourse and language given in the present paper, the author would like to thank her knowledgeable anonymous readers for their bibliographic suggestions and insightful comments. The topic of medical English in itself would deserve a separate treatment. On the contribution of translation to the beginnings of medical English in a historical-linguistic perspective, see Fabbro 1998. More broadly on the subject, see Medical and Scientific Writing in Late Medieval English, Taavitsainen and Pahta 2004; McConchie 1997 on sixteenth- century medical English; and Lonati 2017 on eighteenth-century British medical discourse. Free access, electronic copies of the first tome of the Mathematical Collections and Translations are available on Early English Books Online (http://eebo.chadwyck.com), as well as the website of the Archimedes Project Digital Research Library (http://archimedes.mpiwg-berlin.mpg.de/cgi-bin/toc/toc.cgi?step=thumb&dir=salus_mathe_040_en_1667). Thomas Salusbury’s work has been studied in depth from a linguistic point of view by Gotti (2000, 2003, 2009); most of the work done on him from the point of view of the history of science is due to Drake (1967), and more recently Wilding (2008). The original edition is available through the Early English Books Online database (https://eebo.chadwyck.com/home).